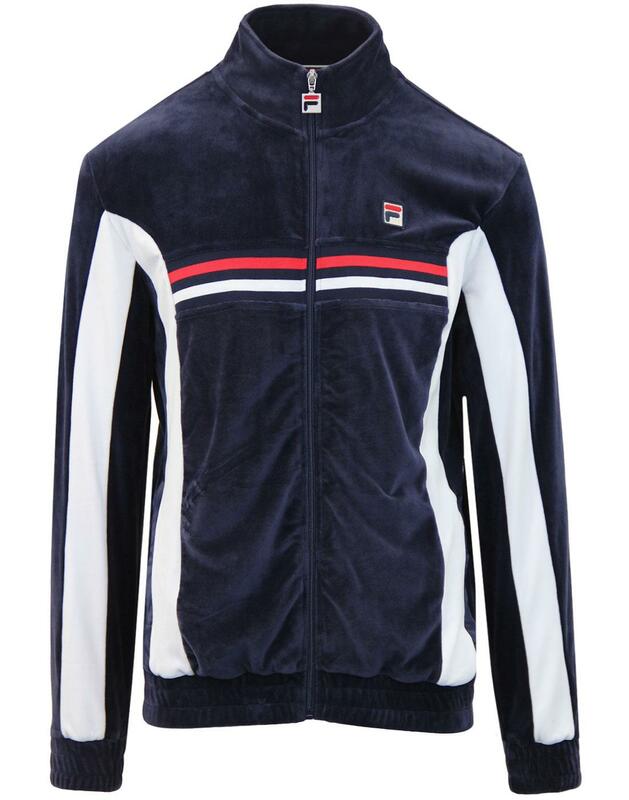 Fila Vintage 'Verita' men's retro 1980s velour stripe panel track jacket in peacoat navy. The classic indie funnel neck track jacket equipped with stylish retro stripe panel to chest in red and white. Soft and luxurious velour fabric construction, ribbed hem and cuffs. 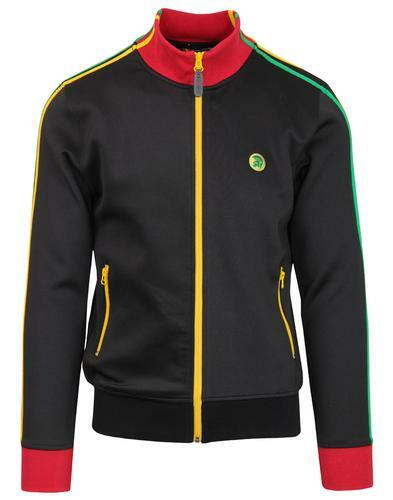 The 'Verita' men's retro track top channels that classic 80s casuals and terrace vibe and is ideal for teaming with polo shirt, jeans and trainers for an easy retro look. The Fila Vintage 'Verita' velour track top is finished with Fila Vintage corded F-box logo to chest and iconic signature branded zipper. 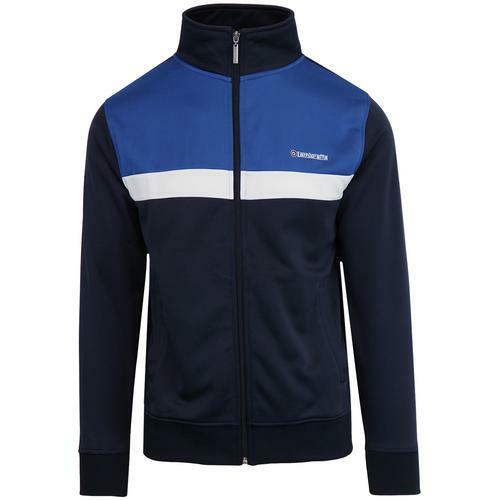 - Fila Vintage 'Verita' men's retro 80s stripe panel track jacket in navy. - Red and white retro chest stripe panel. 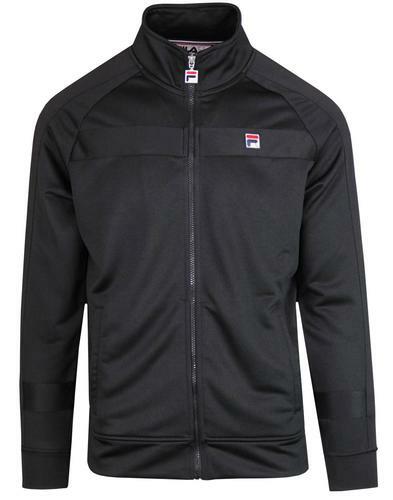 - Zip through with Fila Vintage signature branded zipper. - Fila Vintage branded zipper. - Fila Vintage F-Box corded logo to chest.